Sony often produces a few lines of their TV sets, each line set at a certain price point and feature list. The W is the top of the line in the Bravia Series and a step below it is the V series. Understandably, a V series TV that is the same size as a W series would cost a lot less. This is due to the large number of features that are present in the W series but not in the V series. The first is in the Bravia Engine EX. 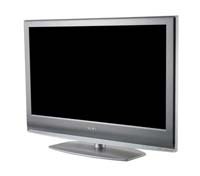 This is virtually the same as the Bravia Engine in the V series but has the added ability of upconverting 480i, or standard definition, signals into HD. Sony claims that this improves the SD signal and results in a final picture with more detail and definition. They have also added 24p input capability in the W. 24p is the standard framerate (24fps) used in cinemas, and when coupled with a player that has a 24p output, is said to produce a cinema-like viewing experience. The sound system of the W has also been improved and Sony says that it is capable of replicating surround sound with its two front speakers via the use of their sophisticated sound processing algorithms. The V models are not capable of reproducing surround sound on its own and uses an additional set of speakers to do this. An interesting feature in the W models is something called Theater Sync Technology. Using the CEC channel of the HDMI specification, Sony devices that have this feature can communicate and control each other. This can simplify the your task especially if you have a few devices that needs to be set-up properly before you can view your movies. Instead of going around the room turning everything on and setting it up, you can achieve this by a simple touch of a button on your TV remote and your TV would turn on all the other devices needed. Ben Joan. "Difference Between Sony Bravia V and Bravia W." DifferenceBetween.net. September 27, 2017 < http://www.differencebetween.net/object/difference-between-sony-bravia-v-and-bravia-w/ >.